Elaine Longtemp’s Trapped has been selected by Roy Slade for inclusion in the Katharine Butler Gallery 4th Annual National Exhibition in Sarasota, Florida. Artists’ Reception: Friday, April 3, 6 – 9 PM. SDA member Sara Burnett is sponsoring a variety of surface design classes in the Rochester area. 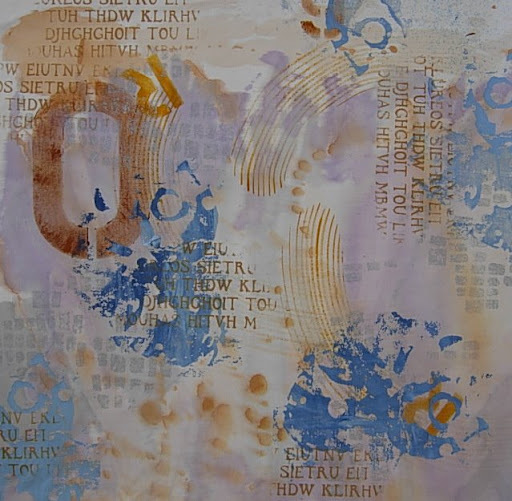 Although classes with John Marshall and Jorie Johnson are currently filled, there are three spaces in Michelle Whipplinger’s three-day class, “Mudcloth with Mud Pigments and Tannins” (with an afternoon of indigo dyeing), scheduled for the week of August 11-17, 2009 (exact dates not available yet.). If you are interested in attending this class or would like to be on Sara’s contact list for future classes, please send your contact information (e-mail, phone number and mailing address) to Sara at sjburnett@frontiernet.net. Jeanne Beck’s blog Exploring the Surface fell into the hands of ruthless pirates. If any of you were readers and wondered why the address suddenly brought up a random spam ad site, that’s pretty much it’s sad demise. If you would still like to read about Jeanne’s art explorations, it’s now on line again with a new name, Art by Jeanne Beck. 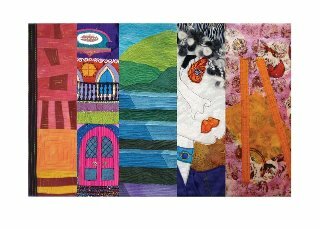 SDA member Natalya Aikens is one of 31 fiber artists participating in this exhibit at the Mohopac Public Library. Please check the library website for hours and directions. 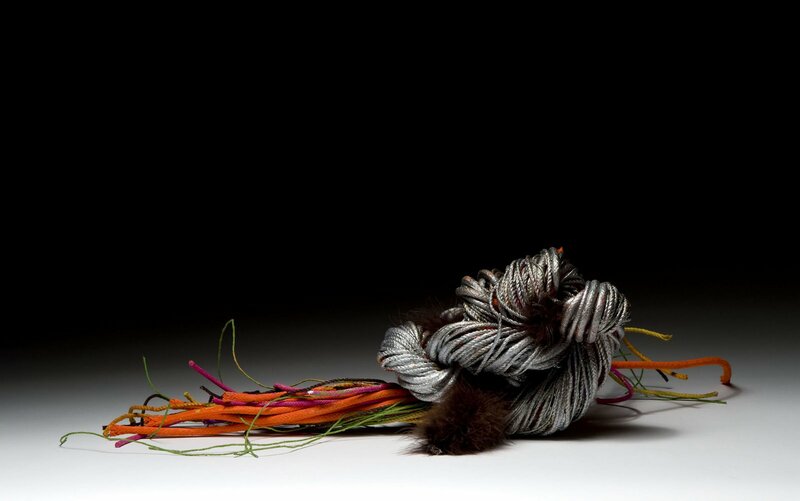 The exhibitors in Fiber + Thread = Art are all members of a fiber arts group that meets in Somers, NY. The members hail from surrounding areas in Westchester County, Dutchess County and Eastern Connecticut. Many people in the group are also members of SAQA. The show opened March 2 and the work will be on display until April 3. The Arts Council in Buffalo & Erie County, the New York State Council on the Arts and Empire State College SUNY, in collaboration with National Fuel, are proud to celebrate Women’s History Month with the third Virginia Weiss Invitational exhibition. Select local women artists will commemorate Virginia Weiss’ legacy through their art. SDA member Barbara Murak is one of the Western New York women who has been invited to participate in the exhibition. This year’s exhibition theme is Silver Linings. The exhibition, open March 6-31, 10 AM – 5 PM weekdays, will be held at Empire State College, Appletree Business Park, 2875 Union Road, Cheektowaga, NY, 14227. Please contact Empire State College at 716-686-7800 and check availability before visiting as the viewing schedule is subject to change. James Dee’s lecture will cover most aspects of shooting with a digital camera: 1.Lighting: Quality vs. quantity and the proper exposure. 2. The camera: technology terms, their meanings and where to use them; file formats and exposure. 3. Camera specifics: manual vs. automatic, what each means and what each does (you may bring your camera). 4.Choice of file formats: raw, tiff or jpg. 5. Post production: what to do with a file after you shoot the picture. 6. Question and answer. 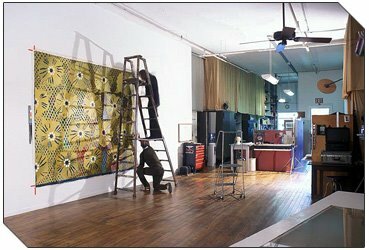 D. James Dee opened his studio in 1974 to provide photography of the highest quality at affordable rates for the art community. Many TSGNY members have been his customers. Spend an adventurous afternoon making fabulous fabric using a diversity of yarns and stitches. Under Arlene Mintzer’s expert guidance, participants will knit or crochet their own swatches, switching between techniques as inspiration directs and changing from one traditional or nontraditional material to another. You might choose to exchange swatches and continue working while learning from someone else’s creative approach. Come and play. Good basic skills are required. Arlene Mintzer has been a faculty member at Parsons School of Design for 29 years. She has taught workshops throughout the country, most recently in New York City at Habu Textiles and the Museum of Art and Design. Limited to 10 participants. Deadline for payment is March 7. Non refundable unless the workshop is filled. It’s a first! Over 25 artist studios in the converted Hungerford factory building will be open to the public on Friday, March 1st as part of Rochester’s growing First Friday gallery opening nights. Visit Jeanne Raffer Beck’s studio, #366, enjoy a glass of wine and see selected works from her Pages, Parables and Seeds series. All visitors will have a chance to enter their names in a drawing to win one of her “Notations” pieces.